The incompetency of politics is making their people refugees by forcing them to move elsewhere. The way religion was superseded with the emergence of democratic state, technology can put away with all the unnecessary politics in future. 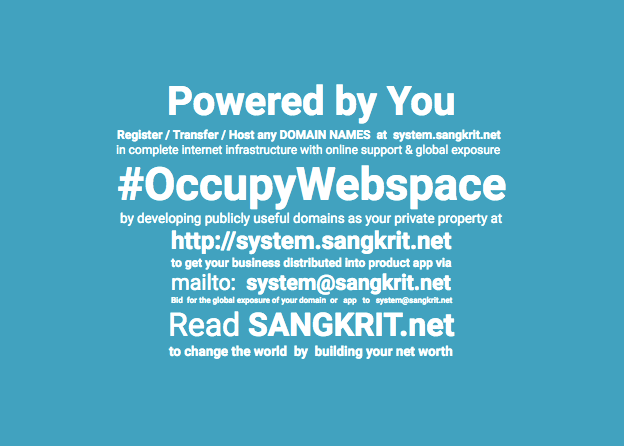 Sangkrit is a program of economically liberating every humankind into internet age. Everything that hinders this or discriminates on any false basis is reactionary apartheidism. Integral humanism of internet industry has to fight all evil forces of such backwardness. Technology transforms. Internet is integrating humanity in to a single sustainable force to reckon with. Only that can finally defeat all the forces of reactionary apartheidism altogether.